Funding to support College of Human Sciences’ graduate students is available in the form of assistantships (i.e., stipends for employment as a Graduate Research Assistant or Graduate Teaching Assistant), tuition waivers programs, scholarships and fellowships, travel support, and other forms of financial assistance. Assistantships are paid employment opportunities for graduate students that promote the professional development of the student while supporting the instruction, research, and extension efforts of programs within Human Sciences. The academic and administrative units within the college award numerous teaching and research assistantships with competitive stipends. Assistantship appointments that are half-time (50%) include, in addition to the monthly stipend, full non-resident tuition waiver, full resident tuition waiver, and health insurance benefits. GTAs provide services that are directly related to the teaching mission of the department/unit that employs the assistant. The GTA has direct involvement with the students enrolled in the offered course; examples include instructing classroom courses or laboratories, grading, and general classroom/laboratory assistance to the instructor of record of the course. GRAs provide services that are directly related to the research activities of the department/unit that employs the assistant. Examples include working on an externally-funded research project under the direction of a faculty member and research funded by the academic unit that is intended to be professionally disseminated. Assistantship appointments are usually half-time (50%) or quarter-time (25%) for designated time periods. Half-time graduate assistants work 20 hours per week, while quarter-time graduate assistants work 10 hours per week. Time allocations may vary by assignment and department. Graduate assistants are not expected to work on officially designated University holidays. Otherwise, they are expected to be on duty throughout the appointment period. Accepting an assistantship brings with it a professional obligation to fulfill all of the responsibilities associated with the assistantship assignment. Included in this professional obligation is the expectation that students who have accepted an assistantship will diligently pursue their degree to completion in the department or school providing the assistantship. Monthly stipend for PhD students employed at .50 FTE (20 hours per week): $1,552.50. All eligible hours up to degree requirements. 1 Summer Note: Non-Resident and Resident Tuition Waivers apply without summer GTA/GRA (based on Spring eligibility). * A qualifying appointment is defined by the academic calendar term/ session (e.g., the definition of a fall/spring semester is 17 weeks – the date classwork begins through the date final exams end). Assignments that begin after the first day of classwork, or ones that end prior to the end of the term, will not count toward tuition waiver eligibility. Students must also be enrolled in the necessary number of graduate-level credit hours to receive tuition waivers and health insurance benefits. To estimate semester tuition and fees, use the Bursar’s Tuition Estimator. Each year the College of Human Sciences awards multiple scholarships and fellowships to graduate students. Applications for these scholarships and fellowships are available in November and are due in December of each year. Awards range from $1,000 to $5,000 and are presented during the college’s Scholarship Recognition Banquet in the spring. Scholarship/ fellowship recipients must be majoring in a graduate degree program in the College of Human Sciences and currently enrolled in a minimum of six credit hours during the period of the scholarship award. Criteria vary for each scholarship/ fellowship but usually include scholastic record (GPA), college and university leadership activities, professional goals, etc. For more information, please see Human Sciences Scholarships for graduate students. Modest support for graduate student travel is available from the Human Sciences Research & Graduate Studies office for attending professional meetings/conferences. Download the Human Sciences travel request application form. Travel assistance is also available for current OSU graduate students through the Graduate & Professional Student Government Association. GPSGA travel awards are meant to assist in the costs associated with travel for students presenting their own research at a state, regional, national, or international meeting/conference, etc. For more information, please see GPSGA travel assistance. 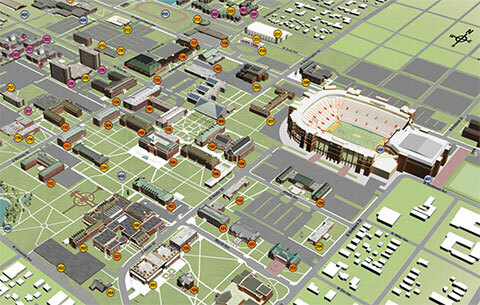 Information and guides for domestic students attending OSU.